For specific reports or data fill out the contact formula for further info. For some reports and data an amount can be required. 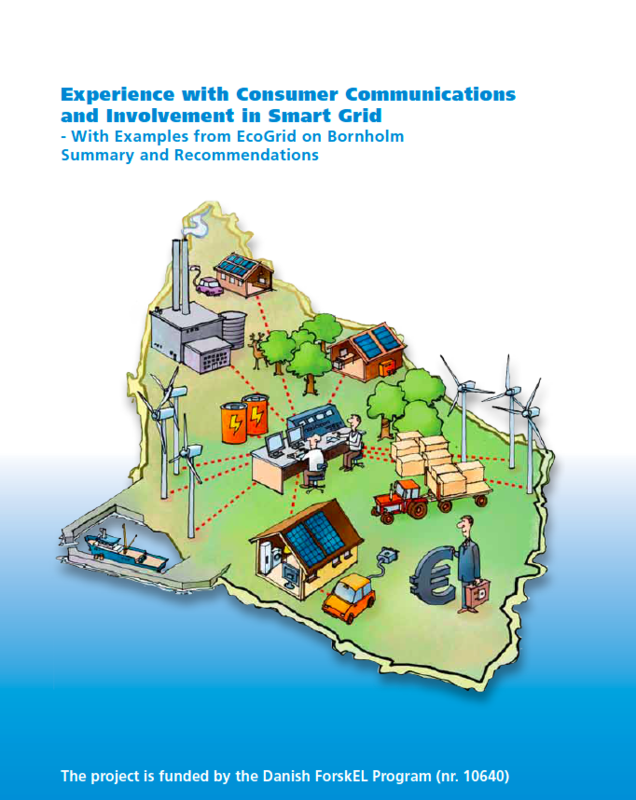 This report analyses experience with customer communication and user involvement from the EcoGrid EU smart grid project based on Bornholm. The report is offering insight into how it was possible to recruit and involve more than 10% of all Bornholm household customers (approx. 2,000) in the EcoGrid project. 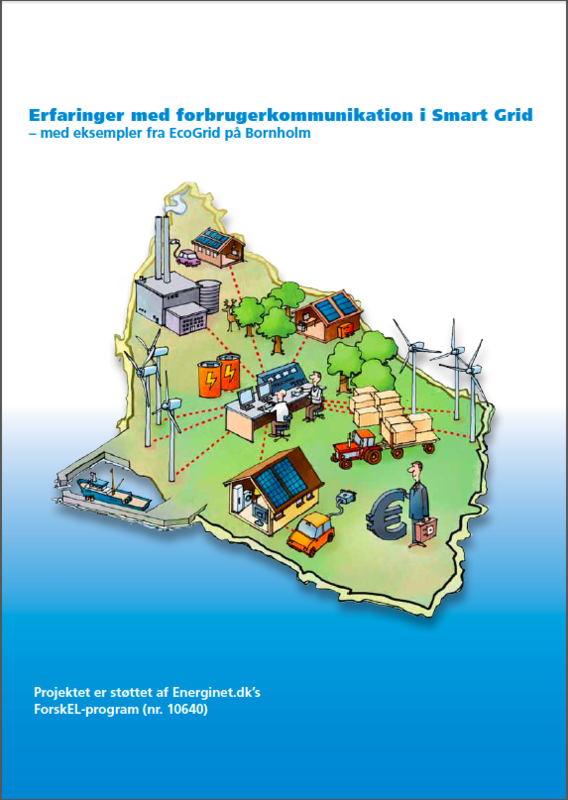 And to what extent EcoGrid EU experience is relevant outside Bornholm. 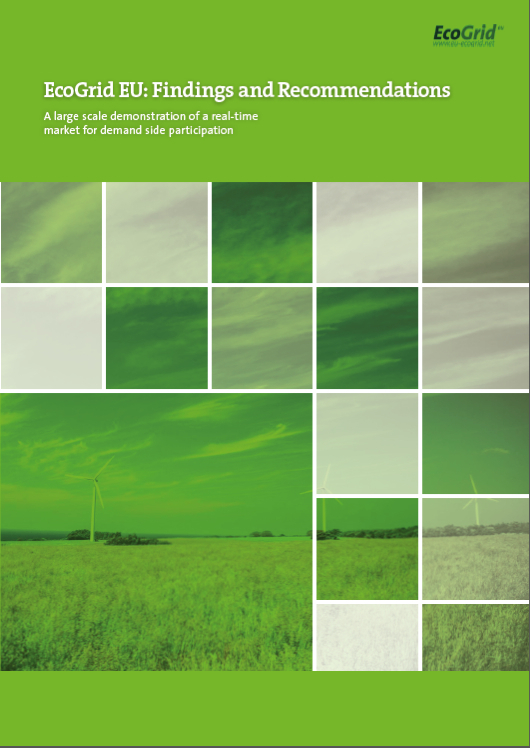 Moreover, the report provides examples of experiences that can be followed as well as lessons that should not be followed in other demonstration projects, or in broader, nation-wide roll-out of smart grid. EcoGrid EU is the winner of the prestigious EU Sustainable Energy Award 2016 (EUSEW16). 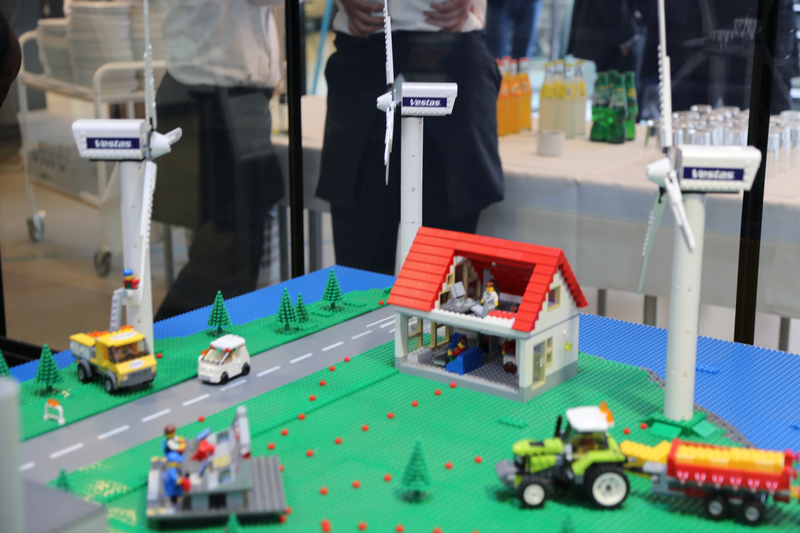 The project received the prize for the most outstanding and innovative energy project in the category Consumers. The prize were announced on 14 June – during the Sustainable Energy Week in Brussels. – We are very pleased - and we are very proud! The price is also going to the 2,000 Bornholm families who are the backbone of the EcoGrid EU project, said Betina Haagensen, Vice chairman of Østkraft (Bornholm Energi og Forsyning) when she received the award from EU Commissioner for Climate and Energy, Miguel Arias Cañete. 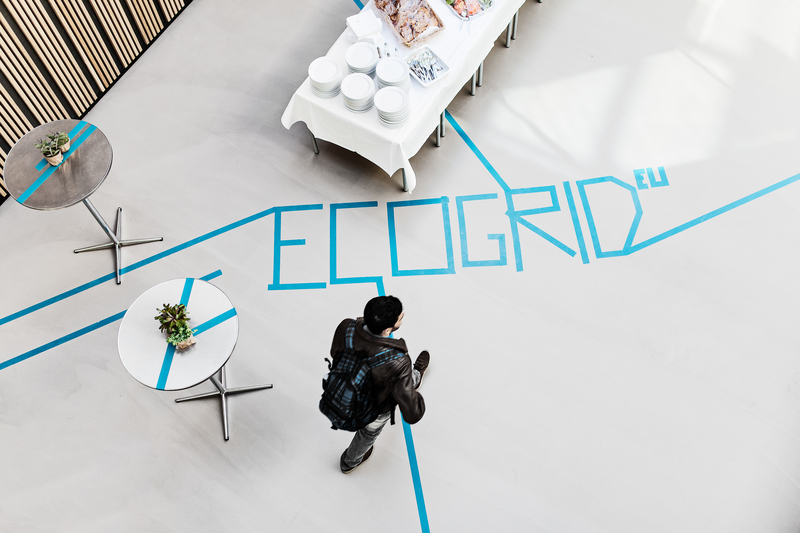 The EcoGrid EU project was chosen from a list of 200 projects for clean, secure and efficient energy. The project Sustainable-energy transformation, Municipality of Pokupsko (Croatia) won the Public Sector award, while the Businesses Category prize went to Green Brewery Göss by Brau Union Österreich (Austria), which is the world’s first major carbon-neutral brewery using only renewable energy. 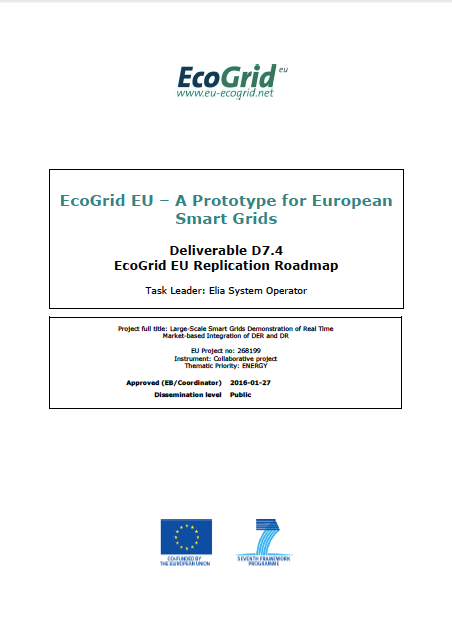 1st of January 2016 the EcoGrid 2.0 project had upstart. In EcoGrid 2.0 the focus is different problem definitions for the future electricity system. The project is based on chosen partners and equipment from the original Ecogrid project. For further information click here. 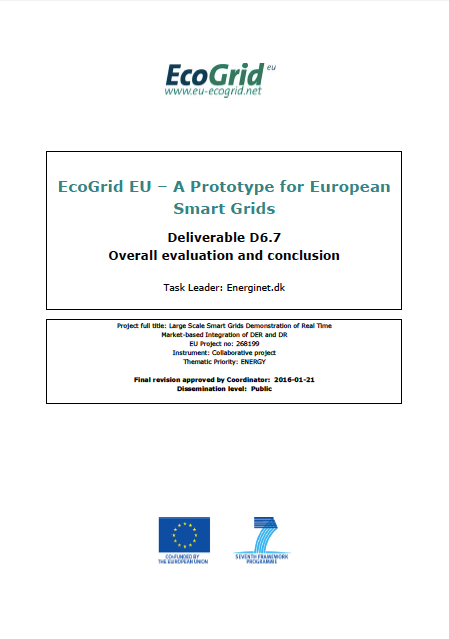 A brief summary is given in the brochure "EcoGrid EU: Findings and recommendations". 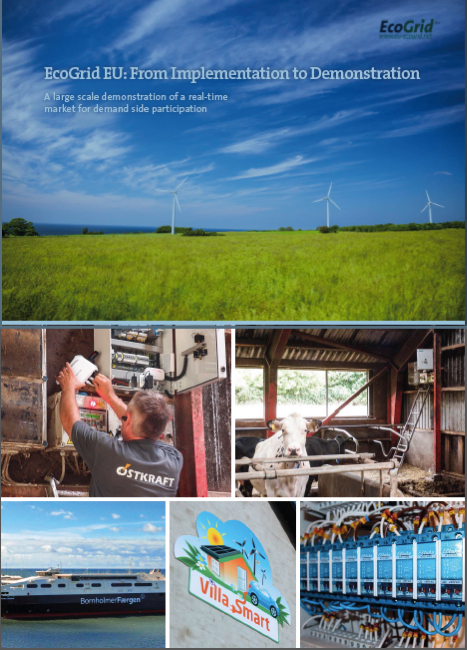 You can download the three EcoGrid EU reports and the brochure here >> or click on the pictures below. 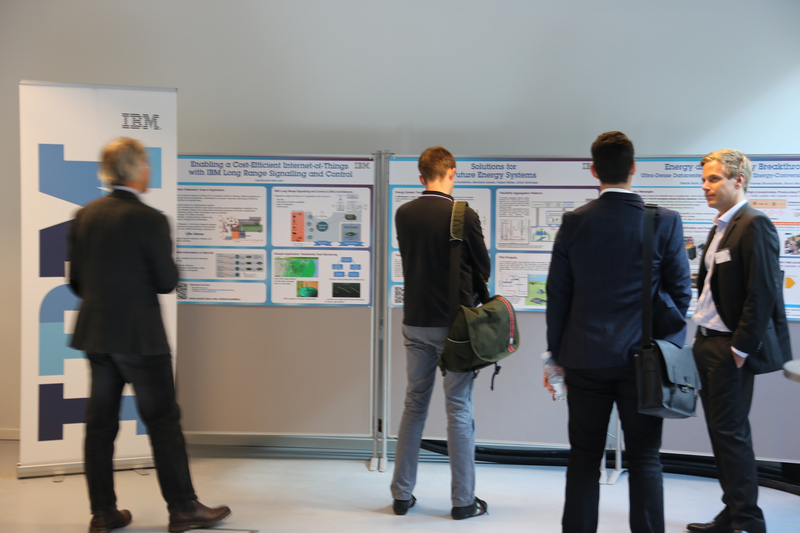 On Tuesday September 15th the final EcoGrid EU results were presented at the EcoGrid EU conference. 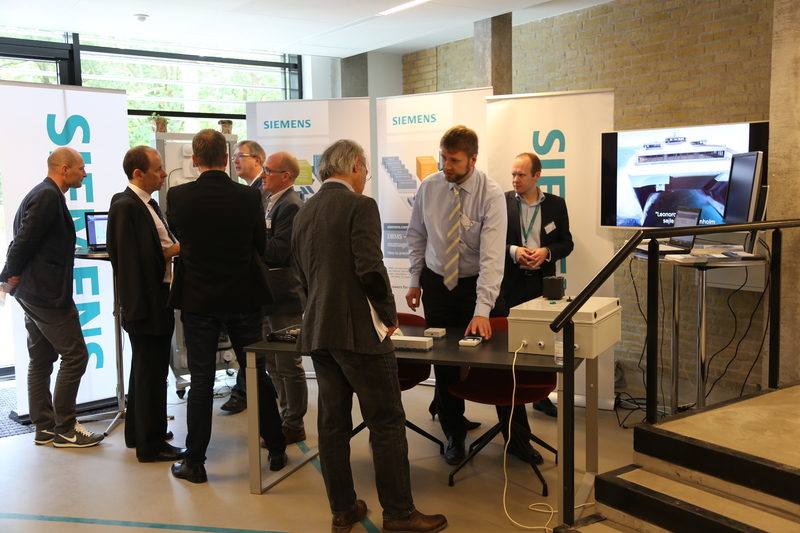 About 160 people joined the conference at the Technical University of Denmark in Lyngby. 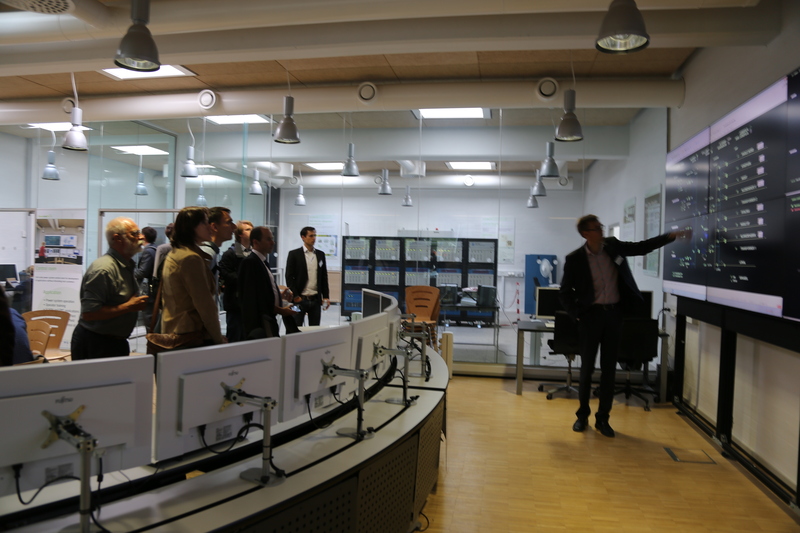 They listened to the experiences from the EcoGrid EU demonstration, project, which has come to an end after four and a half year. «Despite of challenges and steep learning curve along the road, the results of the demonstration are very satisfying» said Per Lund, Energinet.dk (the Danish Transmission System Operator). He was responsible for the overall evaluation of the demonstration project. The project coordinator Ove Grande from Sintef Energy Research was happy with the final results. He was also proud of the recognition the project has received such as the international nomination to the `Sustainia award´ for the best ICT solution (2012) and the `Honourable Mentioned´ prize (ISGAN/GSGF) for consumer engagement on Bornholm (2014). 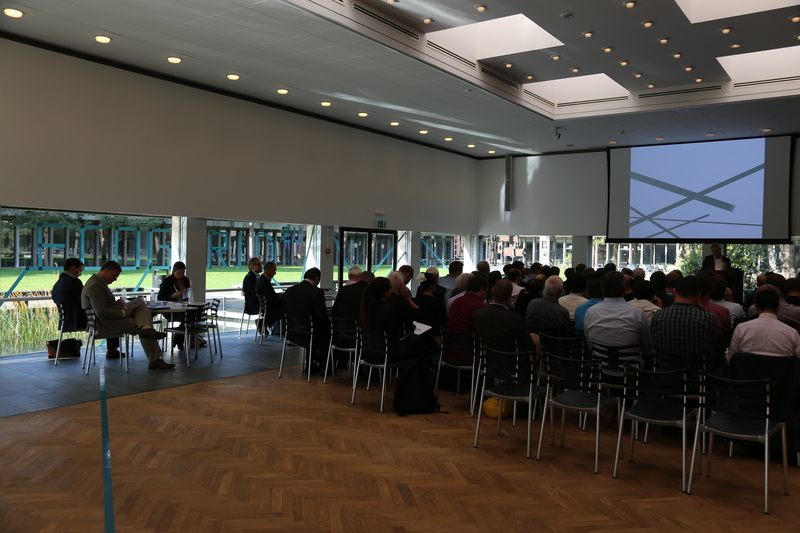 Maja Bendtsen, Østkraft (host of the demonstration on Bornholm) referred to the final customer survey where 70% of the respondents (900 households) gave a positive rating to the overall EcoGrid EU project and that almost 80% would like to participate again in a project such as EcoGrid EU. «In the current regulatory framework, incentives to have efficient system operation is too low», said Georgios Giannopoulos, ELIA, (System Operator in Belgium). He was responsible for the EcoGrid EU Roadmap and the recommendations to policy makers: «We need incentives for more efficient operation, this will improve utilization of the assets and postpone investments. Innovation is likely to result in more sophisticated and efficient operation. Smart network tariff structures should incentivize active consumers and system needs and cost of energy should be better communicated and understood by all stakeholders».